B. Life changing news—New genetic test scores allow as many as 70,000 breast cancer patients a year to skip Chemo! 2. Do you know your Calcium Score (for coronary arteries)? 6. 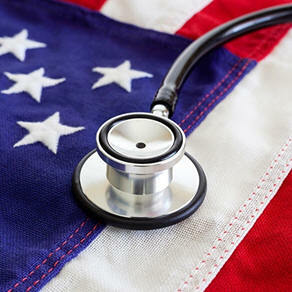 America health is not doing well!—look at the trends! A. Experimental Immunotherapy cured advanced cancer! Dr. Steven A. Rosenberg, Chief of the Surgical Branch of the National Cancer Institute’s Cancer Research, announced a NCI funded project was published in the Journal Nature Medicine on June 4, 2018 announcing an new experimental immunotherapeutic treatment that cured a patient with advanced breast cancer (MRI seen above). Images Above—Before and After MRI images--Note the spots in the liver and a mass attached to chest wall (yellow arrows) from metastatic breast cancer which disappeared on the images on the right side. Other forms of cancer treatment had failed in this particular patient. The researchers found 4 out of 64 gene mutations in the cancer cells of this breast cancer patient that were recognized by this patient’s immune system (T-lymphocytes*). These T-cells were treated in the lab with an experimental method to target these mutations to see if they would attack the cancer cells. The treated cells were re-injected back into the patient to attack the cancer and kill it with its own genetic material. It was a huge success in just a matter of months. There is still no evidence of cancer after 22 months. This is just one patient. Standby for more results. 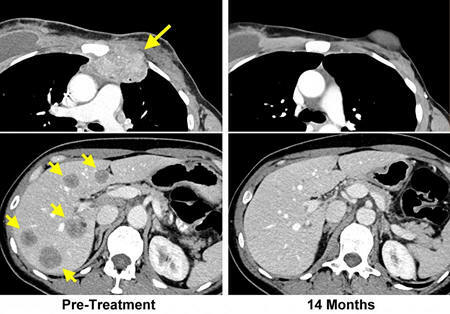 This patient was also treated with another drug called immune checkpoint inhibitors*, pembrolizumab (Keytruda), to prevent possible inactivation of these treated T-cells. This method described above is a new experimental method which treats these discovered specific mutated genes in cancer cells which are stimulated by T-cell lymphocytes that kills the cancer (with the addition of immune checkpoint inhibitors, a well known immunotherapy). Usually cancers are treated based on the organ they originate in. This is a new and innovative way of addressing the treatment of cancer. Currently these experimental treatments are used in only late stage cancers, but immunotherapy will soon be used as an adjunctive therapy at the beginning of treatment. Things are getting exciting in cancer treatment. Donate to cancer research!! There is a great amount of medical information that changes the lives of people, but it doesn’t get much more groundbreaking than the news that a major study using a genetic test has proven that as many as 70% of women with early breast cancer, that have estrogen positive and HERS-negative tumors, can omit chemotherapy. That amounts to 70,000 women per year that won’t have to suffer chemotherapy. 80% of breast cancers have estrogen positive receptors. 20% of all breast cancers are HERS-positive, and 10-20% are triple negative(no receptors). There are certain markers on tumor cells that determine their type and allow oncologists to tailor the treatment. Over 266,000 women in the U.S. will be diagnosed with invasive breast cancer every year, and 41,000 will die annually. There is about a 12% chance a woman will develop breast cancer sometime in their life, according the American Cancer Society. Usually, these patients undergo hormonal (Tamoxifen) therapy and chemotherapy after the tumor is removed if estrogen positive. The hormonal therapy (Tamoxifen) (taken for 5 years after the tumor is removed) is known to help prevent recurrence and second tumors in addition to chemotherapy, and until this study, most patients were given both. Now, even without chemo, 75% of early breast cancers can still expect an 85% chance of no recurrence. This large study followed 10,000 women for 9 years and found no difference in these patients who took Tamoxifen with or without chemo if their gene recurrence score was 25 or less. This is such great news for those who can skip chemo, since there are serious side effects from these agents including hair loss, chemo brain, fatigue, nausea and vomiting, decreased white blood cell count which increases infection risk, mouth sores (mucositis), loss of appetite, diarrhea or constipation. If the tumor is HERS-positive (human epidermal growth factor), which accounts for 20% of breast cancers, there is a special treatment for these women (Herceptin), and these are more aggressive than other types of breast cancer. Triple negative tumors (10-20% of breast cancers) are responsive to chemotherapy but frequently recur. There are different ranges of this genetic assay (Oncotype DX Breast Recurrence Score—0-100) that have permitted patients to allow oncologists to decide if chemotherapy is indicated or not. The score is called a recurrence score, and a score of less than 25 was found to not need the addition of chemo in this study, since there was no additional benefit in percentages of recurrence or death rates in these patients. A biopsy of the breast cancer is tested for the activity of genes involved in the cancer cell growth and response to hormone therapy, to estimate the risk that a cancer will recur. (Cost=$4,000 covered by most insurance. )(A similar test is called MammaPrint). Before this study, it was assumed all patients should have chemotherapy (and hormonal therapy). Now only those with a high range (score greater than 26) need chemo based on this study. The exception in this study was patients younger than 50 years of age who had scores of 16. These younger patients tend to have more aggressive tumors and may still need chemotherapy. That would always be a decision between the patient and the oncologists as always. This study allows a majority (75%) of early breast cancer patients (after surgery and or radiation) to skip chemo and only take hormone blockers (Tamoxifen). This opens the door for future treatments to use immunotherapy with Tamoxifen to hopefully reduce the recurrence rate of those 15% who still suffer recurrences. 1) Those over 50 years of age with a recurrence score of 25 or less. 2) All ages with a recurrence score of 10 or less. 3) Those 50 and under with a recurrence score of 11-15 (17% of patients). This leaves all women with a recurrence score of 26-100 who should consider chemo and hormonal therapy (15%). I am sure every oncologist is aware of this study, and will discuss it with patients if they qualify based on the above genetic test. I have written an extensive series on breast cancer in previous reports. To access it, go to the SUBJECT INDEX on my website Homepage and go to breast cancer reports. The ACS has published it’s new revised guidelines for colorectal cancer screening in the healthy general population, and it appears in the Ca-Cancer Journal. The previous guidelines came out in 2012. Currently, screening was recommended to start at 50. Because Americans are experiencing colorectal cancer at earlier ages than 50, the highlight of the revisions include changing the age of screening to 45 from 50 years of age. I have been privileged to work on this effort as a member of the National ACS Screening Guidelines Work Group. Essentially, there are various stool tests that can be performed yearly, and if blood is found or abnormal DNA from cancer cells is seen, a colonoscopy is recommended. Many doctors just recommend doing a colonoscopy every 10 years for the general population (without a positive family history, a personal history of colon polyps, or certain genetic markers), but the ACS hopes all options (various stool tests) for screening are provided by their primary care physicians to patients to start at 45 years of age through age 75. The main goal is to be screened!! Below, is a synopsis of the guidelines. Screening saves lives. Most cancers start as a non-cancerous polyp, and it can take up to 10 years for it become cancerous. Most colorectal cancers are preventable. Talk to your doctor about GETTING TESTED STARTING AT AGE 45! 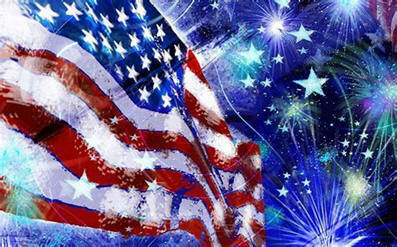 The USPSTF (United States Preventative Services Task Force) is the main federal advisory group that provides screening guidelines for prostate and other cancers, however, the American Cancer Society and the American Urological Association also provides guidelines for screening and does not always agree with each other. Previously, the federal task force recommended not screening the general population primarily because of the harm from unnecessary biopsies. However, they have changed to recommending that it is the decision of a patient and their physician whether to have the blood test PSA (Prostate Specific Antigen), which is elevated in prostate cancers (but there are false positives). The American Cancer Society made the recommendation to leave the decision up to the patient and doctor a few years ago between the ages of 50-70. The task force does not recommend testing those 70 and over. 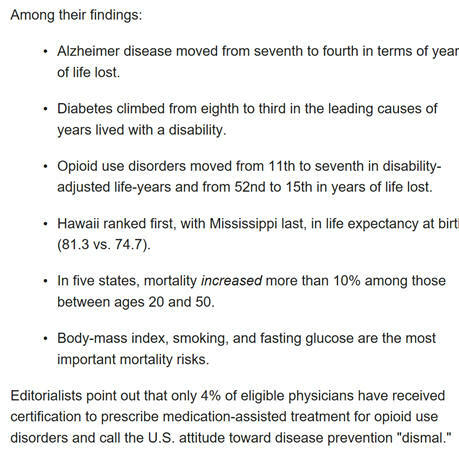 However, this is also controversial, and some groups still feel that those older Americans should still be tested if they prefer, especially if they are quite healthy (i.e, life expectancy of at least 10 years). Only about 1 in 4 men with an elevated PSA (usually equal to or greater than 4.0ng/ml) actually have cancer, however, even that level is controversial with some physicians preferring 2.5 to warrant a workup. The normal median PSA score for men 40-49 is 0.7ng/ml., and 50-59 is 0.9ng/ml according to Medicine.net, a good reference. One of the reasons that the federal task force changed their minds, is the fact that many men, especially older ones, after they have been diagnosed, are having their oncologist watch their cancers rather than having them treated. The reason is because as many as 70% of prostate cancers are low grade and are unlikely to progress. Defining the degree of malignancy has become a big factor in determining the aggressiveness of treatment. Surveillance (for low grade cancers)-means careful watching- has become much more popular (as high as 40%) now that urologists can distinguish a low grade cancer from one which is more aggressive. Both patients and oncologists have become more comfortable with this approach. Of course, close observation is critical (MRIs, prostate biopsies, PSA scores, etc.). If there is a change, there is still a good liklihood for cure with later treatment. Considering the side effects of surgery or radiation (urinary and rectal incontinence, impotence, etc. ), watching rather treating a cancer for years may be a wise choice especially for older gentlemen or those with other serious health issues, as the likelihood of them dying of other causes is greater than dying of the cancer. Having spent several years on the American Cancer Society Screening Guidelines Workgroup, I appreciate that the decisions for screening are based on the latest evidence in the medical research literature. But in my book, the doctor-patient relationship is the last word with a shared and informed decision for any medical issue. Family history is critical, and so is race. Genetic markers are also indicative of higher risk (men who have women in their family with the BRCA gene mutation are at increased risk). Age is a risk factor, since 80% of cancers occur at 65 years of age or older. The U.S. Federal Advisory Task Force joined the American Cancer Society in recommending that a PSA test be performed annually on men between ages 50-70 only if the patient and doctor after an informed discussion and decision choose to do so. This applies to those in the general public with no signs of prostate trouble, or other risk factors that would put a man into a higher risk category. There is a relatively new test which is a mini-CT scan of the coronary arteries which measures how much calcium is present in the walls of the coronary arteries (which can narrow the vessel). It directly correlates with plaque in the coronary artery walls, which may eventually block the vessel potentially causing heart symptoms (angina, shortness of breath, etc.) or even a heart attack. Plaque is a combination of blood products including cholesterol and triglycerides. Those with elevated lipids in the blood are more likely to deposit fat in the walls of arteries in the form of plaque, and over time calcium deposits in that plaque. 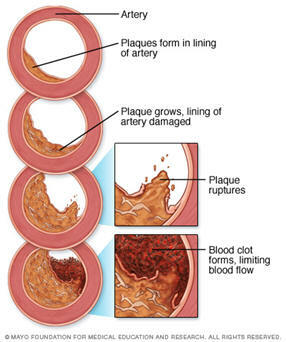 Plaques can rupture and develop a clot which leads to blockage of the vessel and potentially a heart attack as depicted in these drawings. Without performing a cardiac catheterization (coronary arteriogram), doctors can’t know exactly how narrow a vessel has become over time, as all other tests are indirect evidence that narrowing may be occurring. This is not usually performed until chest symptoms or a heart attack occurs. A coronary artery stent is placed if there is a narrowed coronary artery(s) causing a heart attack. If there is extensive disease, coronary bypass grafts will likely be necessary. The CT scan (another indirect test) gives you a score that indicates the possible risk of having coronary artery disease. Most major cardiac centers have such a test available to correlate with other tests (stress test, echocardiogram, etc,) in determining how aggressive a patient’s treatment plan needs to be (diet, exercise, presence of diabetes, statins, other lipid lowering medications such as Xetia or Lovaza, anti-hypertensives, etc.). Who should have a calcium score scan? Patients who are at significant risk for coronary disease, have elevated lipids, have hypertension, are smokers, those who are overweight, have type 2 diabetes, are some of the indicators for considering this test especially if symptomatic of heart disease. Cardiologists should be consulted to decide the diagnostic aggressiveness for each patient based on a host of factors. Insurance may or may not cover this test, so check with insurance. (price varies $100-400). Medicare pays usally. 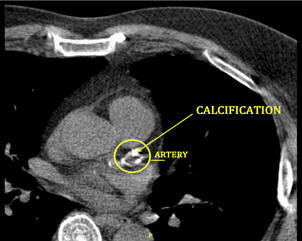 You will be placed in a small CT scanner machine that will measure the calcium in the coronary arteries. It takes about 10-15 minutes to perform. The score is called the Agatston score. A score of zero indicates there is no calcium present in the coronary artery walls, and the higher the score (up to a 1000 or higher), the more likely there is significant calcification of the coronary arteries which means those vessels may be narrowed. If the score is 400 or higher, there is a significant risk that coronary disease could be a serious issue sometime in the future. The score does not indicate that a person is going to have a heart attack, however, if the score is over 1000, studies indicate there is about a 25% chance a person might have a heart attack within a year without intervention with health risk factors. I had a high score and therefore, my cardiologist recommended a cardiac stress test, which was normal. Having had radiation on both sides of my neck and to the middle of my chest when I was treated for a throat cancer in 1991, contributed to radiation induced damage causing deposition of calcium in my carotid and coronary arteries. Anyone who has had radiation to the chest (breast, lymphoma, esophagus, head and neck cancer, etc.) might want to discuss having this test with their doctor if they are at higher risk for cardiovascular disease. It has become a serious cancer survivorship issue. Another important fact is that, if the coronary arteries are severely calcified, a coronary stent may not be successful if a heart attack occurs (because of the hardness of the wall), thus possibly requiring coronary artery bypass graft surgery, a much a more invasive and serious surgery. The American Heart Association does not recommend a calcium score scan or ultrasound routinely in asymptomatic patients, and therefore, this test is but one more risk assessment tool for a cardiologist to use when treating patients with known cardiovascular disease. 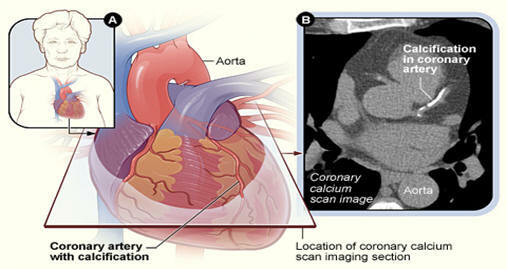 The CT scan coronary calcium score is another test to non-invasively evaluate the status of the coronary arteries. Based on the score (the amount of calcium in the walls of the coronary arteries), this may suggest that further testing be performed such as a stress test, echocardiogram, and other tests in patients with known cardiac disease. These tests may suggest that a coronary arteriogram be performed in some patients to actually determine if a stent(or surgery) is necessary. Almost anyone who follows healthcare knows that a healthy balanced diet will potentially help reduce the risk of cardiovascular disease. We are aware of the value of the South Beach, Mediterranean, and Dash diets to lose weight. Now comes the Paleo and Keto diet. We are familiar with the need for more protein, less carbohydrates, and less saturated fats until now. In 2012, a study in JAMA, cited 10 dietary factors that accounted for 45% of cardiovascular deaths. Among them are: too much salt, not enough nuts, high amount of processed meats, low intake of fish (low Omega-3 fatty acids in foods not supplements), and low amounts of vegetables and fruits. Today active heart disease is treated with statins, aspirin, beta blockers, certain anti-hypertensives, and revascularization procedures which are much more important in preventing future heart attack, stroke, and death. The American Heart Association still recommends a diet high in Omega-3 fatty acids rich foods, and supplements in those who do not eat foods rich in these fatty acids in patients with recently diagnosed heart attack, stating there is a 10% protective benefit…pretty small but every bit counts! Supplements are a poor second to foods rich in these fatty acids. In 2012, 8% of the population was reported to be taking fish oil supplements and probably even more today, but they just aren’t that helpful unless a person takes a huge amount (prescription Omega-3 requires 4000mg daily to reduce triglycerides and equals to 18 fish oil capsules a day). But remember, supplements are no substitute for Omega-3 rich foods (nuts, fish, green leafy vegetables, eggs, canola, wild rice, soybeans, Brussels sprouts, and winter squash). 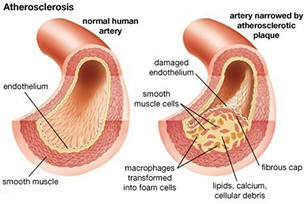 Several studies have now cited that saturated fat is not directly linked to heart disease in normal people. In fact, diets higher in saturated fats and lower in sugar had lower mortality and cardiovascular disease. One study compared 10% saturated fat (of the total calories consumed) in the diet (recommended) to 20%, and found that there was no added risk of heart disease. Maintaining a normal weight, performing regular exercise, getting adequate sleep (7 hours), minimizing stress, and eating lots of fruits and vegetables, minimizing processed meats and sugar (less than 10%), and minimizing sodium all will help reduce the risks, however, those with heavy family histories are at higher risk even maintaining optimum life styles. It was not long ago that margarine was favored over butter, and that has changed. It was not long ago that it was not recommended to eat eggs or avocados and now they are encouraged. Nuts were not particularly recommended and now they are considered an essential food group. All of these fatty foods have protective fats in them as well, and now are considered good for the diet within reason. In the end, it is all about calories. And now there even more news about red meat. Eating no more than 18 ounces of lean beef or pork per week with the addition of fish, vegetables, and fruits will not affect cardiovascular risk. I have written about this subject previously, but the point bears repeating. Belly (visceral) fat correlates with waist measurement, and many people have a genetic tendency to carry all their extra weight in their trunk. Trunkal obesity is a serious cardiovascular risk factor. For women with a waist of 35 inches or more and a man with a waist of 40 inches or more have too much fat that accumulates primarily around the abdominal organs specifically the omentun, which is the apron of tissue that invests and supports the position of the intestines. It is called visceral fat. This increases cardiovascular risk. Every increase of 2 inches of a woman’s waist past 34 inches increases the risk by 10% for coronary artery disease. Middle age spread is for real and must be controlled with diet and exercise and is more of a problem for women, but plenty of men have a “beer gut”, which is omental fat with additional abdominal wall fat. Measure the waist 1-2 inches above the hip bone. A large waist with normal weight still carries risk for cardiovascular disease, because visceral fat is metabolically active and produces inflammatory toxins and chemicals including cytokines, proteins, fatty acids, and bad cholesterol. These chemicals affect the heart and blood vessels and creates resistance to insulin in diabetics and is part of the metabolic syndrome. Those with the metabolic syndrome have hypertension, type 2 diabetes, over-weight especially with a large waist, and abnormal cholesterol, should not eat excess saturated fat even with the new studies. 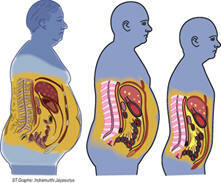 Visceral fat also increases cancer risk. More than one study has linked breast cancer to women who have waists as big as their hips with a 4-fold increased risk, but with as little as a 12 pound loss, there was a measurable decrease in cancer biomarkers as reported by a Dutch study. Two thirds of women in the U.S. are either overweight or obese. Another study cited a 3-fold increased risk of dementia 3 decades later in those with large waists. Asthma risk is also increased. There is a significant correlation between visceral fat and sugar, since sugars are stored as fat right in the gut. Continuing the series on managing chronic pain with an integrative approach, the field of acupuncture has grown considerably as more chiropractors are using the technique, and Eastern acupuncturists have moved to the U.S. I need to contrast true acupuncture from dry needling and how electrical stimulation is being used with these and other techniques. Other options will be reported including acupressure and reflexology. 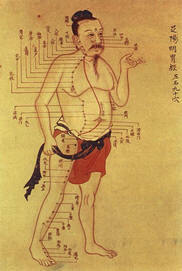 Acupuncture has been practiced for centuries as an integral part of Chinese medicine. As with other forms of alternative therapies, it is not based on sound scientific evidence, but is starting to be reported comparing other complementary treatments. There are several theories how acupuncture works. Many chiropractors have added acupuncture to their practice, but many state laws have kept them from providing this service. Acupuncture is often combined with other forms of alternative therapy such as chiropractic manipulation, pain management specialists, massage therapy, and physical therapy. 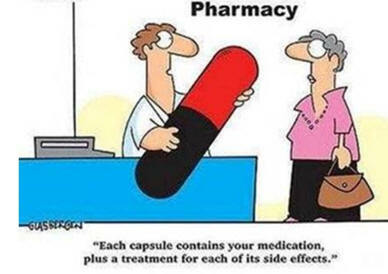 However, most research has concluded that it is of little value past the known placebo effect, which carries a 30% will benefit from sham treatments (placebo). Placebos are known to release the body’s own system secreting endorphins which relieve pain. Endorphins are natural opioid-like neuropeptides secreted by the brain and pituitary gland. Acupuncture like many complementary treatments may help but are short lived requiring continuing sessions. Exercise is the best known form of stimulating endorphins, which block pain signals and stimulate the same receptors as actual opioids do. This is one way acupuncture is thought to work, but does not have lasting effects. A recent study bears analysis. Patients taking Tamoxifen (an aromatase inhibitor) to prevent recurrence of early breast cancer often have joint pain and stiffness. They compared patients receiving twice-a-week acupuncture to a sham procedure, and the group receiving acupuncture had 58% measurable improvement in symptoms compared to the sham procedure (38%). This was reported at the 2017 San Antonio Breast Cancer Symposium, investigators used a 12 week intervention program and the improvement was maintained for 24 weeks. There are other trials which were not as favorable. Clearly, acupuncture is no panacea, but worth trying. Acupuncture should be considered as an adjunct or substitute for opioids to lessen the dependency on these narcotics. 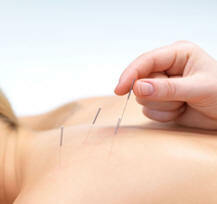 Finding a reputable highly trained acupuncturist is key to having the best chance for temporary relief of chronic pain. It is critical that the needles placed are sterile. The treatment has little risk, so it is recognized as a theoretical treatment as a complementary therapy. Unfortunately, it is not covered by most insurance. The theory of life force meridians cannot be proven, however, it is still commonly practiced throughout the U.S. as patient and doctors are trying to find non-opioid options for chronic pain. 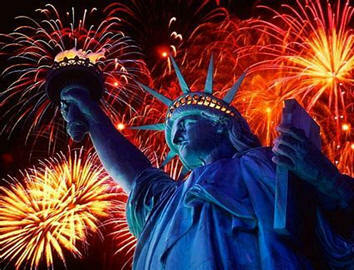 Life energy flows are the basis of Chinese medicine. It is called “qi” and pain follows these paths through what is called meridians. The meridian network is divided into 2 channels—jingmai (meridian channels) which contain 12 meridian channels and loumai (collaterals) which contain 15 major arteries. These flows run along blood vessels and nerves through tendons and muscles. These collaterals and channels connect to each other. These are bilateral (both sides of the body. There are about 400 acupuncture points on each side of the body. The 12 principle meridians are divided into “yin” and “yang” groups which are further divided into the arm and leg with connections to certain body organs. These meridians are of pivotal importance in qigong, an ancient Chinese exercise program and the basis of tai-chi, an excellent form of exercise and stretching with stimulation of these meridians. It is also a defensive martial arts type of program. As in yoga, it is strengthening, and relieves stress, improves mood, improves aerobic activity, increases energy and stamina, improves flexibility, balance, and agility. Stimulating these acupuncture points helps pain if the correct points are chosen. 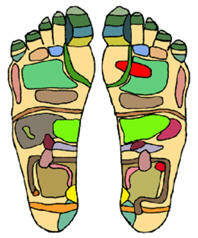 These meridians are used in reflexology, massage therapy, and acupressure. 5-20 needles are place into the skin leaving them in place for 5-20 minutes. The decision where the needles are placed is based on meridians that send impulses to the body to relieve symptoms. Traditional acupuncture includes inspection of the tongue, listening for particular sounds in the body (wheezing, and certain body odors), and focusing on tender areas of the body. The skin is sterilized and the plastic guides over the needle are used to insert the needles which can be painful. These areas that are needled are called acupoints. They may be manipulated based on the therapist’s training and experience. There should be a numbness sensation (called de-qi) in the area as it stimulates the skin nerves in a particular meridian. Qi is believed to flow from the primary organs of the body to the skin, muscles, tendons, bones, and joints through channels and meridians, described above. Disease is seen as a disharmony or imbalance in these meridians. Comparing acupuncture with a sham procedure (placebo) in 18,000 patients in over 100 publications, it was clear that acupuncture was statistically superior in various areas of pain from low back pain to knee arthritis. It also is thought to help chronic pain, which is said to lead to abnormal patterns in the pain brain centers. 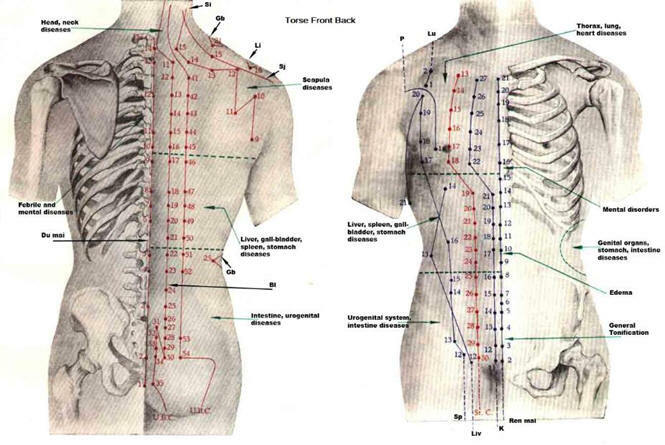 Acupuncture can modulate and help normalize these patterns. 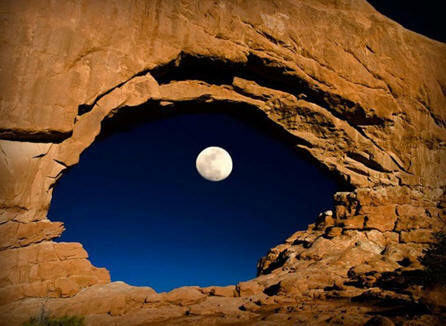 These centers can be normalized by relieving the obstruction of normal flow (qi) of vital energy. This is one of the basic concepts of Chinese medicine. There are many other medical reasons to use this form of therapy including nausea and vomiting from chemotherapy. Cupping is a form of acupuncture, populized by an U.S. Olympic swimmer, Michael Phelps. These areas that are cupped are said to stimulate the qi. Electrodes may be attached to the acupuncture or dry needles to add additional nerve stimulation using extremely small amounts of electrical current. There are numerous variations in the technique of acupuncture, and it appears that as in many forms of therapy, the techniques vary based on the training and experience of the acupuncturist. Florida Board of Acupuncture does license these practitioners. They must have graduated from an approved 4 year training program, pass a national exam, speak English, and have proof of liability insurance. 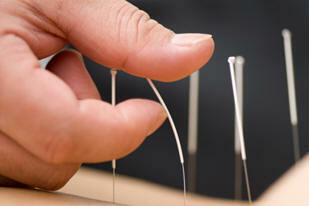 There are just a handful of programs certified by the American Board of Medical Acupuncture. A diploma can be obtained in as little as 1 year in some states, so the certification is not uniform. The AMA accepts acupuncture as a medical treatment, but check with the American Academy of Medical Acupuncture. Dry needling (myofascial trigger point technique) uses acupuncture needles or hollow syringe needles to relieve pain by inserting them through the skin into the muscle and covering of the muscle called myofascial tissue where the trigger point is located. The theory is that by inserting a needle into the trigger point, biochemical changes occur to relieve pain including releasing lactic acid (said to be part of the burning sensation in a painful trigger point. The procedure lasts 10-30 minutes and can be more painful than acupuncture. 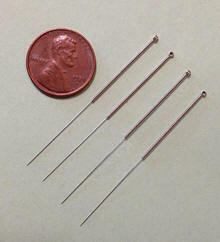 Acupuncture needles do not normally penetrate into muscle. It is another unproven method and on the surface looks very similar. The needles often need to be stronger than an acupuncture needle and thus shorter hypodermic needles are used, but some use acupuncture needles. Some inject lidocaine to tolerate the needle(s) to reach the trigger points which are usually in the muscle. Trigger points can be treated with massage as well. Another technique of dry needling is pistoning, which involves penetrating the skin and muscle in and out. Training is minimal so be sure you know who you are seeing!! Trigger point injections are also used by pain management specialist injecting lidocaine and cortisone into the trigger point(s) with significant temporary relief of pain. Non-trigger point dry needling is said to be helpful for knee osteoarthritis. Specially trained physical therapists also use this technique. It is more difficult to check on credentialing of those who perform dry needling. Call the Institute of Musculoskeletal Treatments. Many practitioners claim they are not performing acupuncture when in fact they are to get around the more extensive training. The Oregon Board of Chiropractors allows these people to perform dry needling with just 24 hours of training (see the above credentialing for acupuncture). Dry needling does not require the same training and accreditation as a certified acupuncturist, and is easier to accomplish. Bruising and mild bleeding can occur. Choosing an experienced, well-known, ethical practitioner is vital to get the best chance for good results, albeit temporary. The AMA adopted a policy in 2016 that any physical therapist or non-physician must have similar training to a certified acupuncturist to perform dry needling including certification, and continuing education. Be sure you check the credentials of all these practitioners. Ads in the newspaper and on the internet can be very deceiving. There is no greater fan than me for enjoying a therapeutic massage. The two basic techniques are a soft more relaxing superficial technique called Swedish massage and a more therapeutic technique called Deep Tissue massage. Adding hot stones, aromatherapy, hot towels, etc. are all options that add to the enjoyment of a massage but little else. Drinking lots of water after any of the above techniques is critical to rid the body of lactic acid and other byproducts of massage. Although temporary relief can be appreciated, there is no evidence that there is any long term effect. Massage incorporates many of the Chinese Medicine principles (meridians, pressure points, and trigger points) and may be just as valuable. A skilled massage therapist is invaluable in patients who have pain (at least temporarily). Relieving stress helps pain as well, which is the greatest benefit. Many chiropractors provide this service in their offices and is a great adjunct to manipulation, electrical stimulation, and the use of TENS unit. This is practiced in massage therapy and physical therapy. Pressing on certain specific painful points can release toxins in the area and resolve spasm. The theory is similar to acupuncture and is often used instead of needles and is part of a deep tissue massage. Acupressure for nausea and vomiting with chemotherapy, depression, gastrointestinal issues, etc., is used, but I limit the discussion to chronic pain. It has been successful in relieving pain even though the mechanism is in question, as it is in acupuncture. This technique is used by many massage therapists and requires special pressure on specific spots on the hands and feet. Anyone who has a foot and hand massage knows its value for relaxation, and there are plenty of people who will provide testimonials about having value. However, there is no scientific evidence these meridians for specific organs are present. 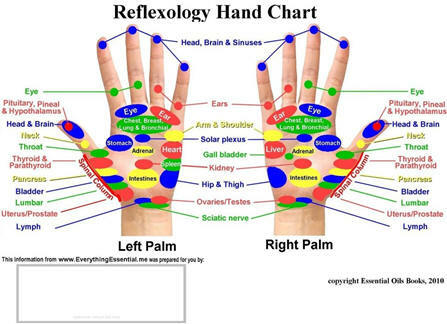 Acupressure uses acupoints just as in reflexology. This technique can be included in massage therapy. Clearly much more research is necessary in these alternative methods, but acupressure has been proven to relieve pain and stress temporarily. Acupuncture may well be an underused treatment as well. 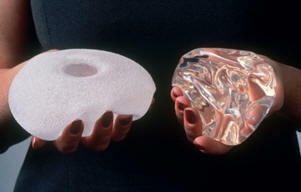 Although it is extremely rare, a specific type of lymphoma has developed around breast implants. I reported in 2016, there had been 239 cases worldwide. With 2017 reporting, the number has risen to 414. 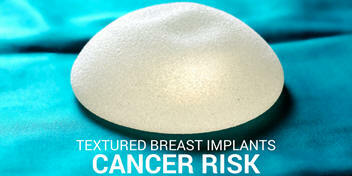 Keep in mind there are between 5-10 million breast implants performed per year worldwide. which was designed to adhere to the surrounding tissues better. It is theorized that the textured rougher surface creates an inflammatory response which incites anaplasia (cancer cells forming). 57% of these cases were from silicone gel implants and 43% were saline filled (but the capsule is still silicone). Half the cases occurred within the first 7-8 years. One article cited a risk of 3.1%. (JAMA Oncology, March, 2018). The FDA reports that there is approximately 1 case in 100,000 women in the U.S. annually. 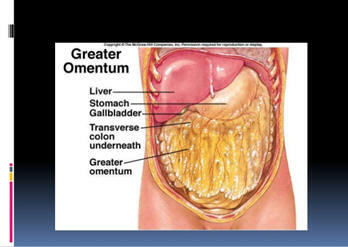 The lymphoma cells are found in fluid which collects around the implant and does not spread to other areas of the body. In 20 cases reported, the implants were removed, and a few underwent radiation or chemotherapy. Patients should be advised that if fluid forms around the implant (seroma), creating a lumpiness or doughy feelings around the edges of the implant, a lump, capsular contractions, asymmetry, a change in shape of the breast, or any pain or discomfort should alert the patient to return to their surgeon for evaluation and an MRI scan. Previously, the authors could not cite a direct link between implants and this rare type of lymphoma, however, they now state there is a very suggestive link between the two. It also should be noted that breast cancer does not occur from implants although implants can mask an early cancer and make mammography more difficult to interpret.